Make sure Mum knows just how much she is loved this Mother&apos;s Day and send the beautiful gift. 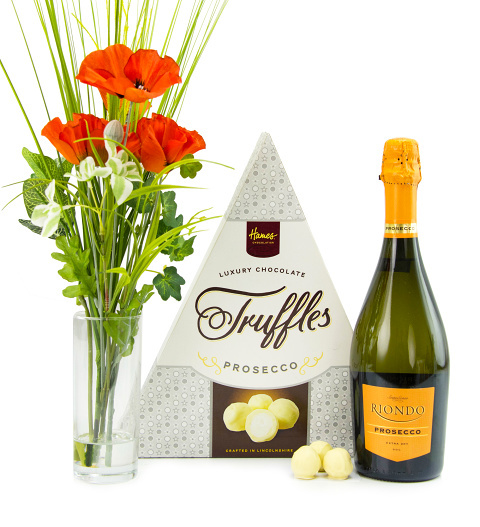 Make sure she puts her feet up and devours this delicious box of chocolates, complete with a very fine bottle of prosecco. Also included is a silk poppy arrangement to last long after Mothers day, just so she will always remember how much you appreciate here.